Corrientes Province lies in north eastern Argentina and borders Brazil, Uruguay and Paraguay. The best places to stay in Corrientes are rural hideaways - perfect bases for exploring this subtropical region of lagoons, lakes and swamps! But for those wanting a bit of nightlife and culture, Corrientes city is a good choice. Originally a tribal area, Corrientes was founded and settled by the Spanish from 1588. The region flourished as a trade route and subsequently the northern part became home to various Jesuit missions whose history was depicted in the film "The Mission". The province has long been predominantly agricultural with tobacco still being a main staple. The word ‘Corrientes’ means ‘current’ or ‘stream’ and herein lies the clue to the region’s main attractions; namely the park areas of the Ibera wetlands and the Mburucuya National Park. These two areas are vast tracts of wetland, lake, lagoon, marsh and swamp. Ibera is one of the most important freshwater reservoirs in South America and the second largest wetland in the world. These areas are home to an extremely diverse habitat of flora and fauna and are a naturalist's paradise. Corrientes city is situated on the Parana river, and has some fine examples of colonial architecture - the San Francisco convent and May 25th Square should not be missed. The Mburucuya National Park has a wide array of ecosystems for the nature lovers! 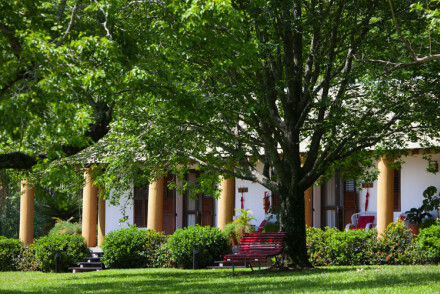 Whether you want to explore the National Parks or Jesuit ruins, or simply take a city stroll along the Parana river, our pick of the best places to stay in Corrientes Province offer a choice for all. 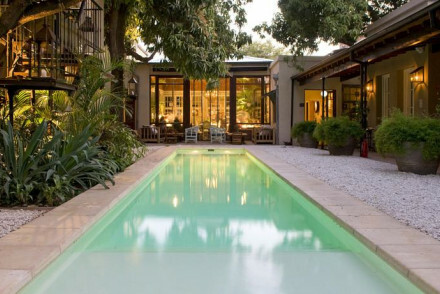 La Alondra Casa de Huespedes in Corrientes City is an historic house which has been transformed into a boutique hotel. The interior is a charming and clever mix of the old and the new - much parquet floor, stone walls and wooden furniture. The bar has a great atmosphere and you'll find good local cuisine in the restaurant. Rincon del Socorro is a small and remote hotel exuding luxury and charm. The nine bedrooms are traditionally dressed with antique furniture, tiled floors etc...The dining is exquisite. You are on the edge of the wetlands - a nature lover's dream! Puerto Valle Hotel de Esteros is a birdwatcher's paradise situated at the northern end of the wetlands. Accommodation is smart and boasts stunning views over a broad section of the magnificent Panana river. It's also ideal for visiting Iguazu falls and the Jesuit missions. Experience the Ibera wetlands, go fishing or take a cookery class! Posada de la laguna is a luxury lodge located in the town of Carlos Pellegrini, overlooking a lagoon. Rooms are elegant and traditional, plus there's excellent home cooked food and a swimming pool for lazy days. The closest airport is Doctor Fernando Piragine Niveyro International Airport, located within the Corrientes Province. Only 20 minutes from central Corrientes. The best time of year to visit the Corrientes Province is between late November and mid March, with temperatures around 30 celsius. An historic house transformed into a chic boutique hotel. Smart interiors cleverly mix the old with the new; think parquet flooring, exposed stone and heavy wood furniture. An atmospheric bar is the ideal spot to sample some regional tipples and the restaurant serves superb Argentine fare. Fabulous. City Style - A cool city pad complete with an atmospheric bar and excellent restaurant. Sights nearby - Visit the impressive white Cathedral of Corrientes. A luxury lodge in a wonderfully tranquil location, overlooking a picturesque lagoon. Charming rooms have white washed walls, antique furniture and tiled floors. Excellent home-cooked regional dishes are served. Get outside and involved in nature or simply unwind with a book by the pool. Glorious. 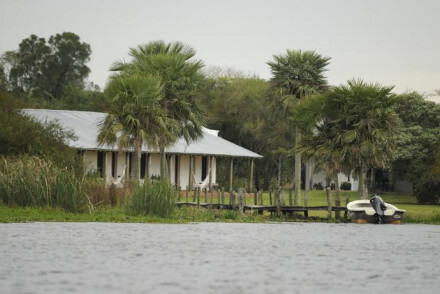 Back to Nature - A tranquil property sat in the picturesque wetlands of northeast Argentina. Sailing - Take a hotel boat cruise on the lagoon and admire the picturesque flora and fauna and wildlife. Cooking classes - Take a course with the locally famed González Alzaga who runs a restaurant in Buenos Aires. A small and remote hotel exuding both luxury and charm. The nine rooms are traditionally dressed with polished antique furniture, black and white tiled floors and pretty bird paintings. Organic produce turns into exquisite dishes. Set in a unique landscape with fascinating biodiversity. Superb. Back to Nature - Located in the remote Esteros del Ibera, a watery land teaming with wildlife and conserved by the hotel owner himself. Birdwatching - Take a relaxing boat ride with the hotel's expert guide who's knowledge of the area has no end. Fishing - Fly-fishing excursions can be organised by the hotel. Bird watchers paradise. 55km from Posadas airport. 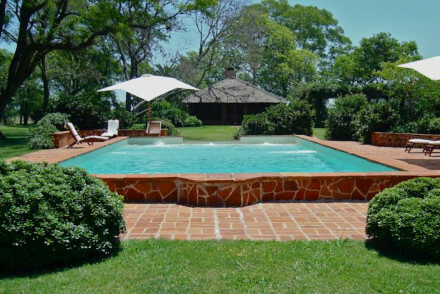 Boutique hotel set in Corrientes Province. Not touristic. Great wetlands. Stunning views over broad part of Paraná river. Combinable with a visit to Iguazú Falls and the Jesuit Missions. Cooking classes - Cooking classes with the restaurant’s chef, learn to prepare a traditional local dish with the organic garden’s produce. Birdwatching - Take a four-day excursion guided by an ornithologist will take visitors around major portions of the Iberá Natural Reserve. Fishing - the Paraná River offers an unparalleled setting for fishing, head off on a specialised tour to access the best spots.